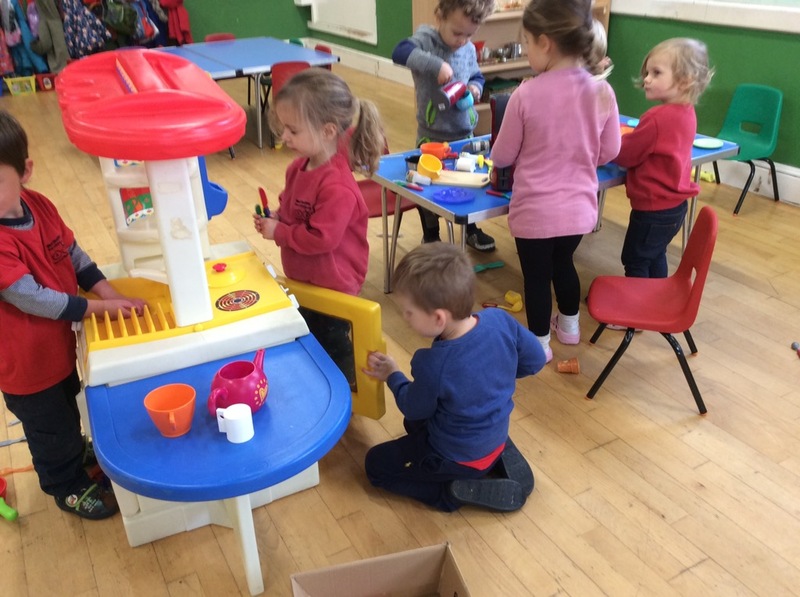 The children all enjoyed ‘cooking’ food using the play kitchen. 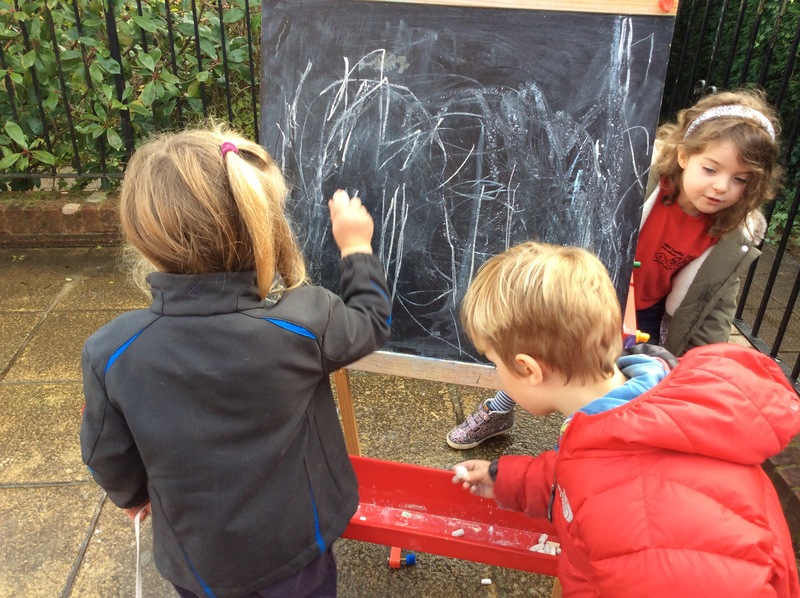 They used their imagination to create “food for baby”, and we had a good supply of ‘tea’ and ‘coffee’ throughout the morning. 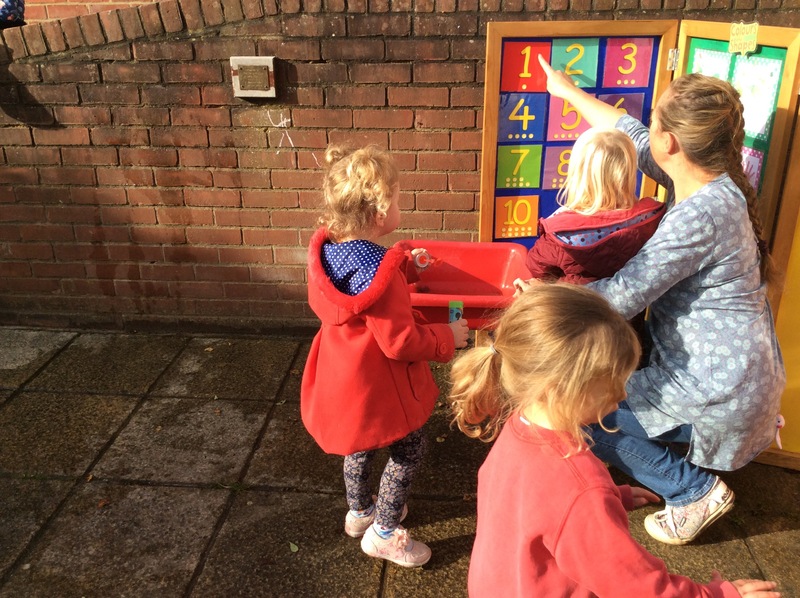 For our fine motor area we had the ‘straw and box’ game which is still a great hit with the children. 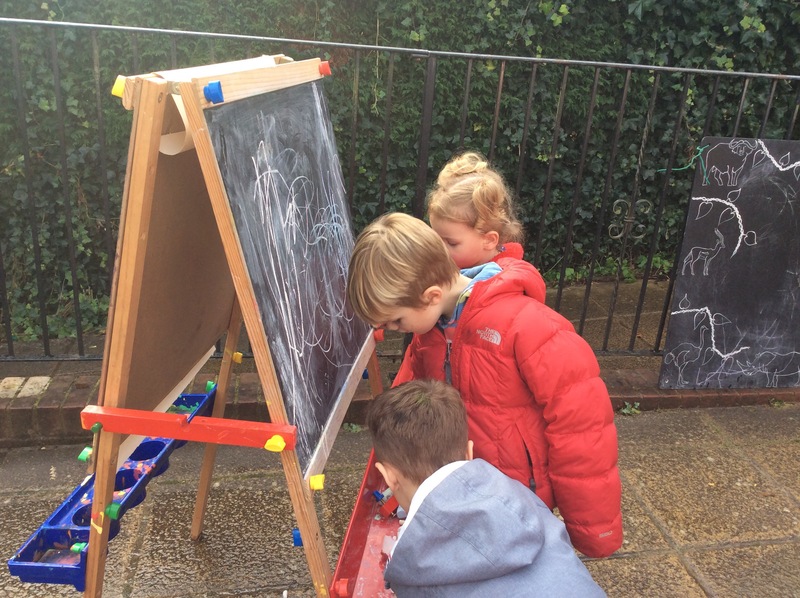 They love matching the colours and popping the straws through the correct holes. 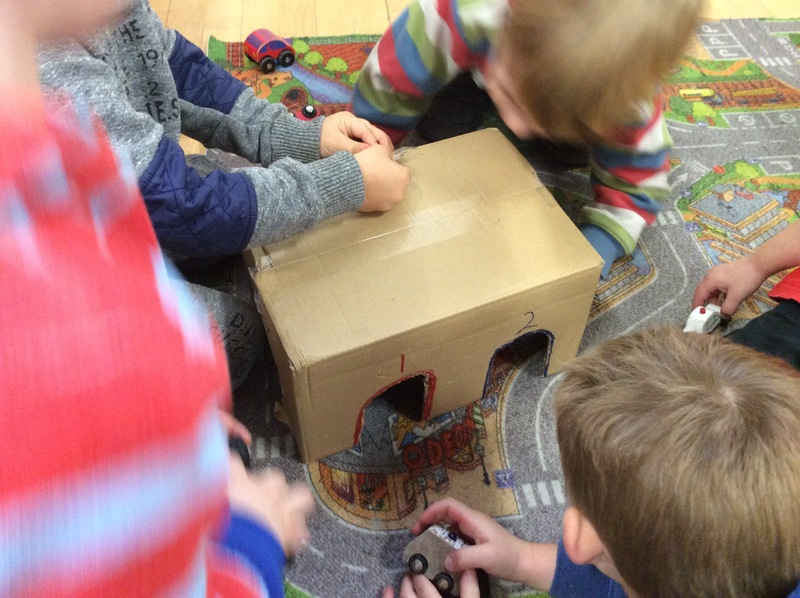 We also had the gears where the children linked multiple sheets connecting the gears together. 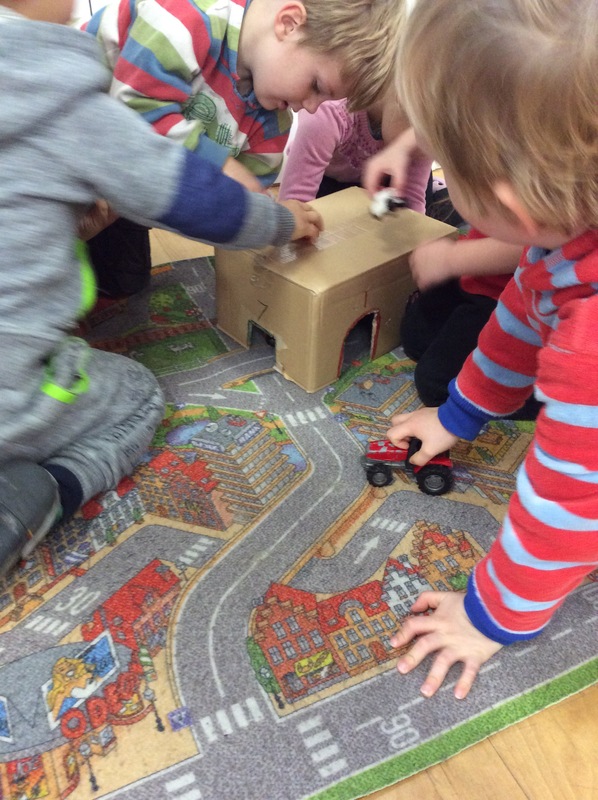 We had another cardboard box today so created tunnels for the small vehicles, each tunnel had a number and colour. 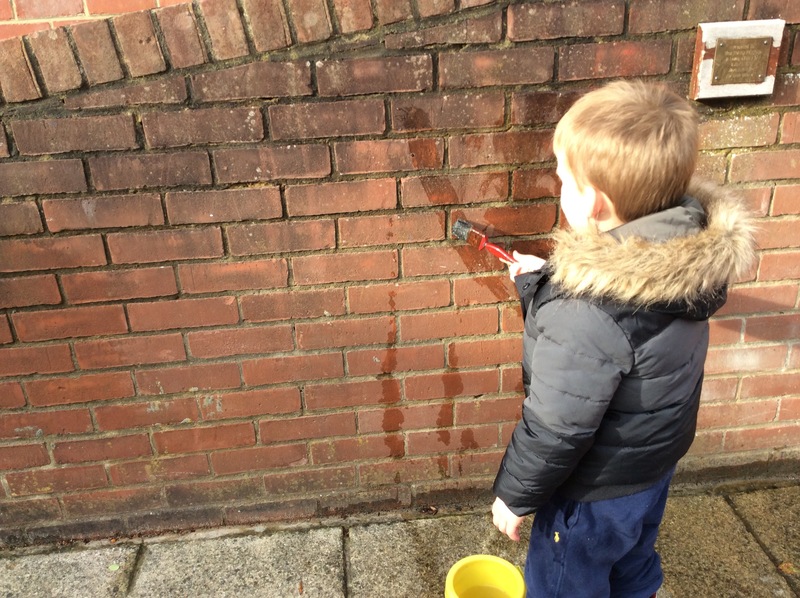 The children helped to choose the colours. 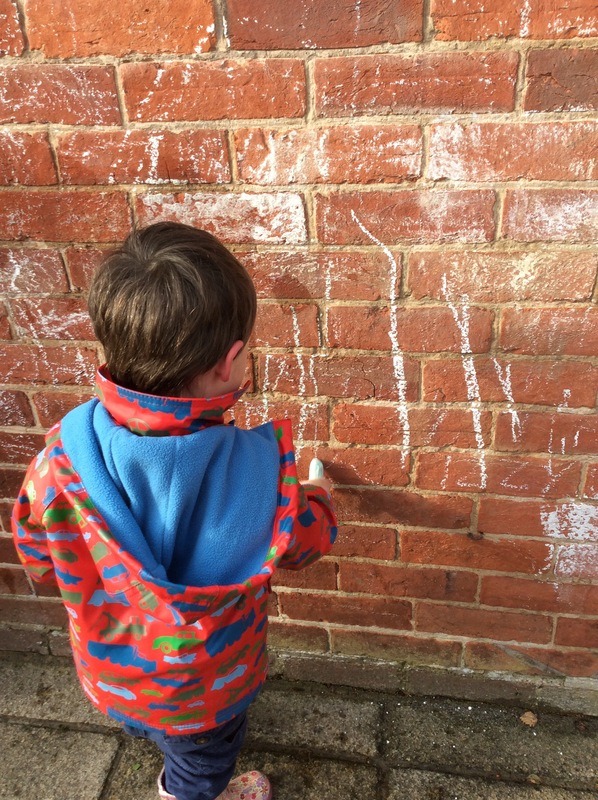 Outside the children had opportunity to use the chalk and water with paintbrushes to mark make.